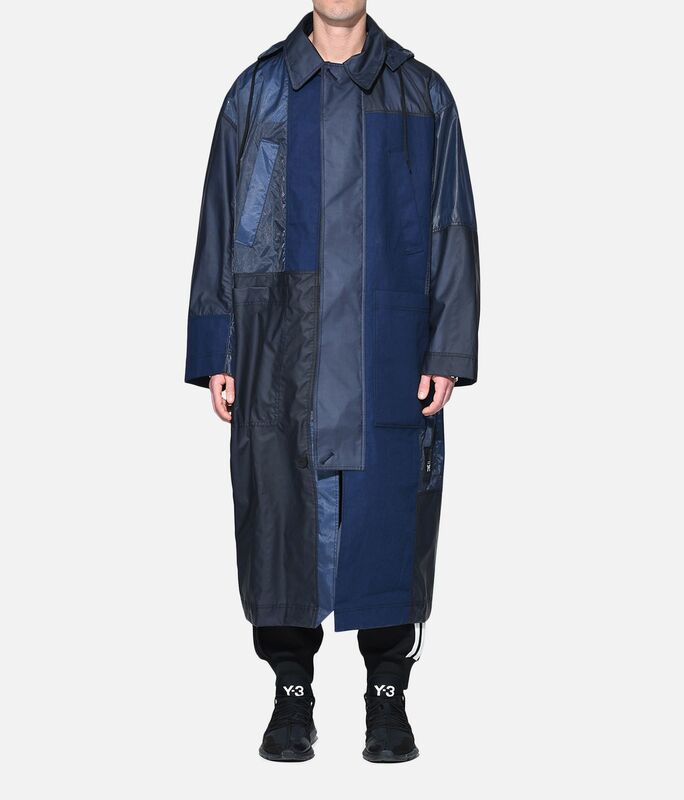 Challenging convention with extreme proportions, the Y-3 Patchwork Long Coat transforms a familiar sportswear style. 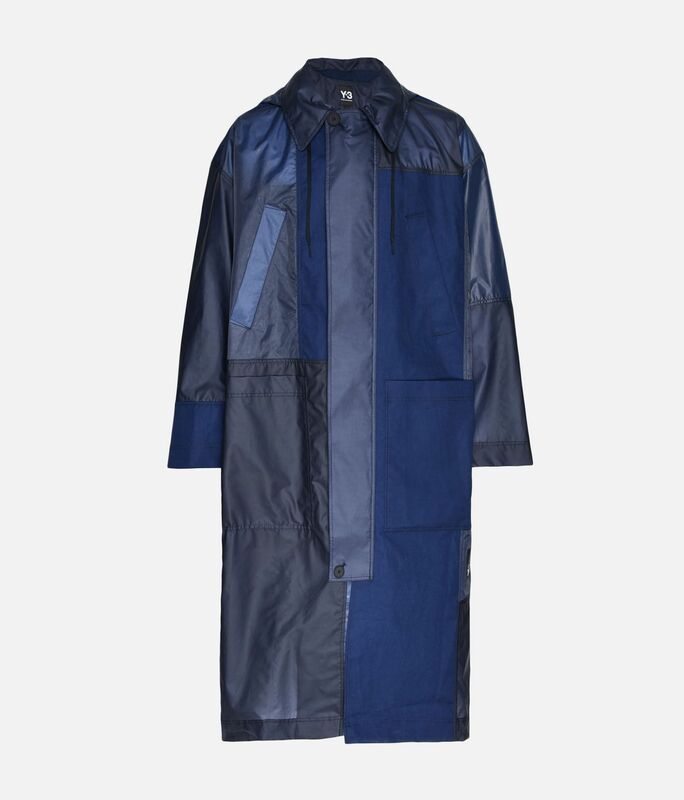 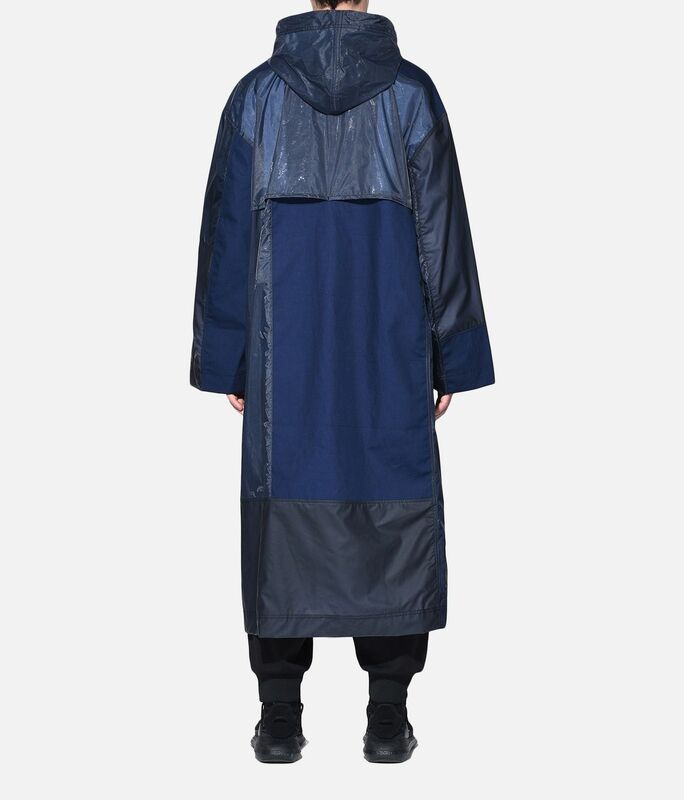 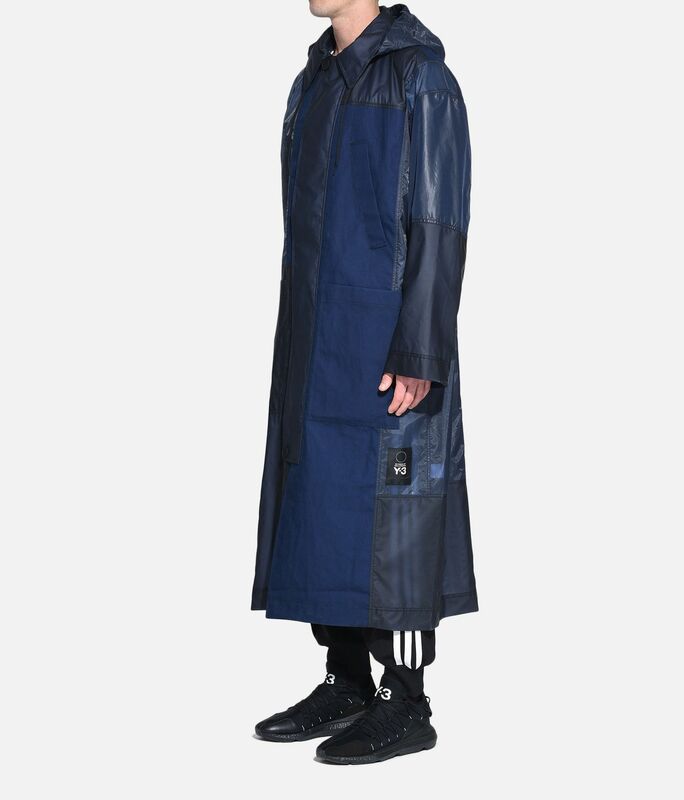 The sleek nylon trench comes with a detachable hood, utilitarian pockets and ventilated details. 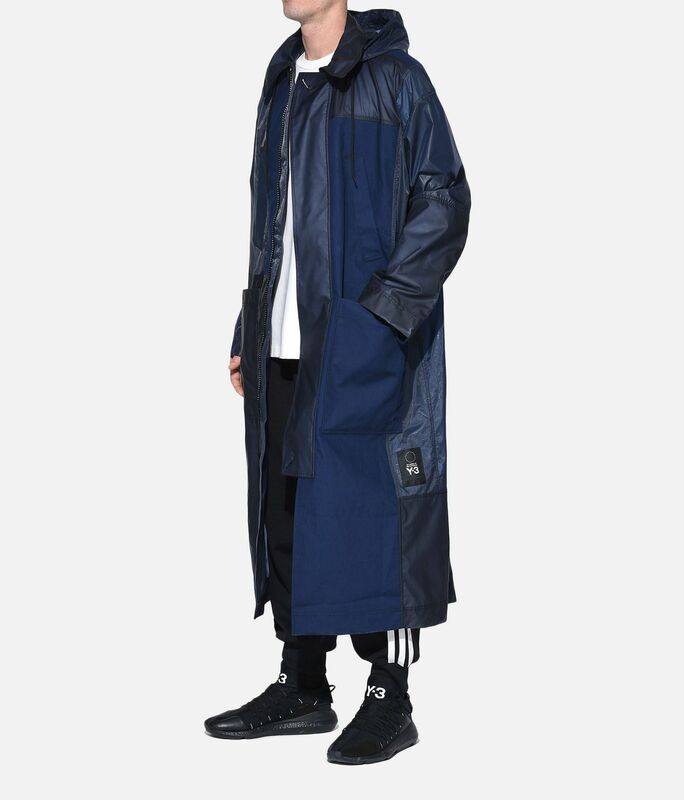 Contrast details and fabrics articulate the oversize shape.